Since its publication in 1868-69, Little Women, perhaps America's most beloved children's classic, has been handed down from mother to daughter for generations. It has been translated into more than fifty languages and inspired six films, four television shows, a Broadway musical, an opera, and a web series. This lavish, four-color edition features over 220 curated illustrations, including stills from the films, stunning art by Norman Rockwell, and iconic illustrations by children's-book illustrators Alice Barber Stevens, Frank T. Merrill, and Jessie Wilcox Smith. Renowned Alcott scholar John Matteson brings his expertise to the book, to the March family it creates, and to the Alcott family who inspired it all. Through numerous photographs taken in the Alcott family home expressly for this edition -- elder daughter Anna's wedding dress, the Alcott sisters' theater costumes, sister May's art, and Abba Alcott's recipe book -- readers discover the extraordinary links between the real and the fictional family. Matteson's annotations evoke the once-used objects and culture of a distant but still-relevant time, from the horse-drawn carriages to the art Alcott carefully placed in her story to references to persons little known today. 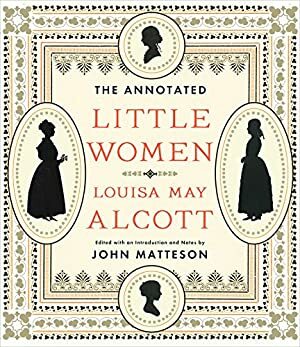 His brilliant introductory essays examine Little Women's pivotal place in children's literature and tell the story of Alcott herself -- a tale every bit as captivating as her fiction. Track It. This book has been $18.99 within the past year. Log In to track John Matteson on eReaderIQ. to be notified each time the price drops on any book by John Matteson. to stop tracking John Matteson. We started tracking this book on February 16, 2015. This book was $19.24 when we started tracking it. The price of this book has changed 25 times in the past 1,525 days. The current price of this book is $23.29 last checked 13 hours ago. This lowest price this book has been offered at in the past year is $18.99. The lowest price to date was $16.09 last reached on November 11, 2017. This book has been $16.09 one time since we started tracking it. The highest price to date was $25.80 last reached on May 5, 2017. This book has been $25.80 one time since we started tracking it. We last verified the price of this book about 13 hours ago. At that time, the price was $23.29. This price is subject to change. The price displayed on the Amazon.com website at the time of purchase is the price you will pay for this book. Please confirm the price before making any purchases.